This extremely drought tolerant introduced wildflower has blooms with varying bright bands of Red Yellow or White around dark purplish centers. Can tolerate poor soils, loves the sun and requires very little moisture. 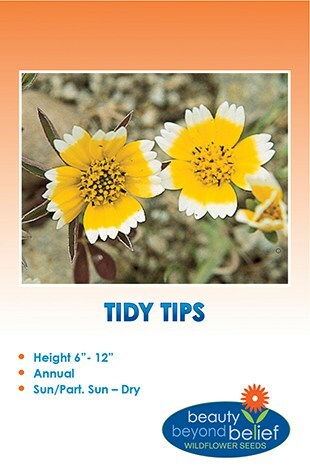 This extremely drought tolerant introduced wildflower has loads of showy daisy-like flowers with varying bright bands of red, yellow or white around dark purplish centers. 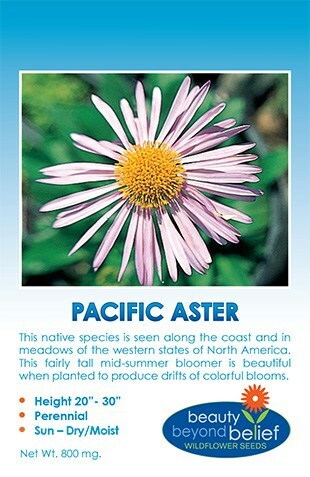 Painted Daisy can tolerate poor soils, loves the sun and requires very little moisture. Plant extras as they make great cut flower bouquets. Direct sow outside after all danger of frost is past in a sunny location. Press into the soil and keep moist until germination. 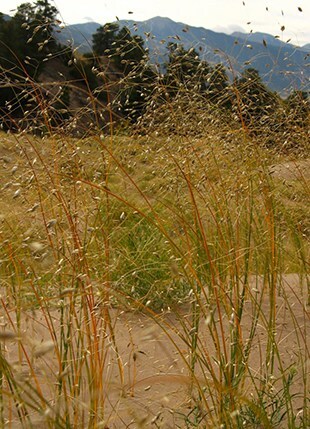 In mild-winter areas, seeds can be planted in fall for winter and spring flowers.